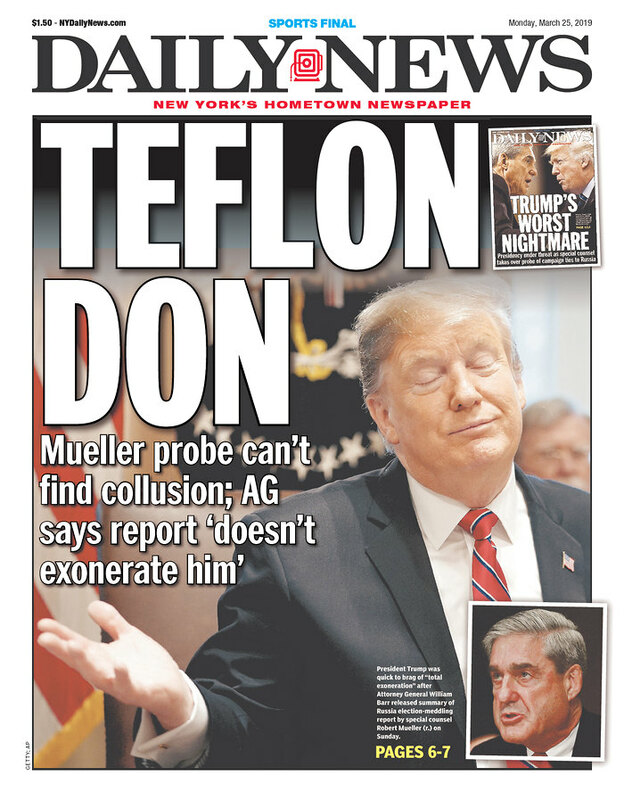 Trump was not exonerated on Obstruction but won't be prosecuted because the standard is proof beyond a reasonable doubt. It's not a good look if the complete report isn't released. AG's Barr's summary of it was the best possible pro-Trump interpretation. The future: Trump will now proclaim he was the victim of a two year Democrat witch hunt when this was actually a self-inflicted error by a Republican president causing the Republican justice department to investigate him. The Democrats had nothing to do with it. If an assistant prosecutor in Texas wants to turn over exculpatory evidence to the defense lawyer, which is required by law, but his elected boss didn't like it and fires the assistant for doing so, can the assistant sue the county? We learned last week that the Texas Supreme Court says, "No." Incredible. There were lots of crazy pictures from the hail storm in Collin County last night but this might be one of the craziest of them all. Kamala Harris made a presidential campaign visit to Tarrant County over the weekend. Insurance claim update: An second adjuster will finally come out one week from today. That's a little slow but progress nevertheless. Having a point man has been a great comfort: He and a contractor have spent hours at the house looking for any signs of extended structural damage, and he brought in a mitigation guy due to the water damage. And Another -- or at least a solid attempt. (Katy, Texas). UCF took Duke to the wire, but this is the highlight: Tacko Fall, 7’6, and CBS’s Tracy Woodson. "Because I'm a pothole." On LBJ and near Jupiter on Friday. Nothing like a cross-section of rebar keeping your wheel from getting ripped off. You might have missed #1: Two (!!) Parkland mass shooting survivors have committed suicide in the last week. You might have missed #2: A lady goes to visit her two put bulls at a nice vet hospital in Irving and is mauled to death by them in an adjacent walking area. Cops had to shoot the dogs just to get to the her. You might have missed it #3: On a lighter note, the Rangers' Opening Day is Thursday. They are already one game out of first place in their division. The Notebook question that needs to be answered: Why didn't the guy just call her instead of writing her every day?